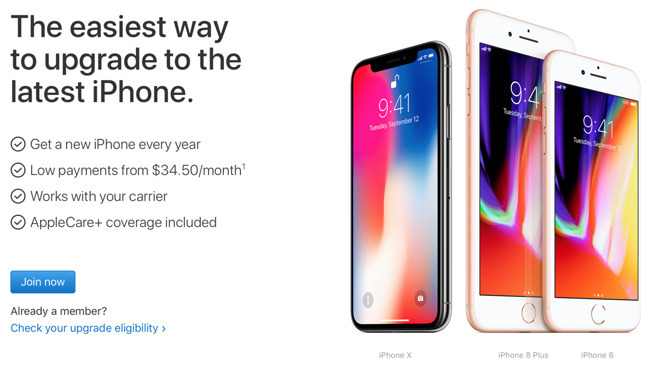 After preorders began Friday at 12:01 a.m. Pacific, 3:01 a.m. Eastern, some who had initiated a credit freeze forgot to unfreeze it to authorize plans like Apple's iPhone Upgrade Program. Readers reached out to AppleInsider after their purchase process was delayed, and others took to Twitter to express frustration that they had missed out on the iPhone X preorder window because their self-imposed credit freeze. Thx for nothing @CitizensOne for using @Equifax to check my credit. No iPhone X for me. @Equifax breach...the gift that keeps on giving. As noted by AppleInsider in September, the iPhone Upgrade Program relies on Citizens Bank, which performs at least some credit checks with Equifax, which is one of the three major credit reporting bureaus in the U.S. Social Security numbers and other personally identifiable information of up to 143 million U.S. consumers were exposed in an unprecedented hack of Equifax earlier this year, prompting a wave of voluntary credit freezes. The problem is not unique to Apple, of course, nor is it unique to the iPhone X. Because Apple's credit partner Citizens Bank is used for other purchases, it has also affected iPhone 8 and iPhone 8 Plus orders since they went on sale in September. Carrier installment plans were also said to have been affected by credit freezes, as users on Twitter said programs like AT&T Next were held up in the preorder process. Thankfully, for those who plan ahead for such purchases, the process of temporarily thawing credit with the three bureaus is fairly easy with a secure PIN number. In the future, consumers looking to make any loan-related purchase or application should remember to thaw their credit prior.